Recently I've been asking for Advice on Items that I couldn't find much info on by just starting a new thread, and I felt like I was causing clutter for just 2 or 3 responses, So I thought I'd create a place to post Items that aren't easy to find info on, such as the Quality, Price, or Just function of. Preferably include an Image, and Link to the item. Not sure if this is worth getting as a Cheap scope, Since whatever airsoft scope you get, short of a real one it isn't going to be very accurate. This one just looks good, and is cheap. Also is apparently full metal. It's not bad at all. I had one, now my buddy uses it. But it's a red dot, not a scope hence the cheap price. Yeah, I know, I just copied the Name XD I think I'd prefer Red dot over most other sights. Thanks. I run a similar sight. Only a dot, no magnification but just like yours it looks the part and does the job. Id go for it if it works for your needs. how bad do they fog up? The TA31 style is twice the price! Are those properly rated? Doesn't say they are. So I'm struggling to decide between 2 guns of the same model but made by different manufacturers. no love for g&g ):? Best eye-pro to get if you're looking for goggles are Revision Bullet Ant's they're used by our troops (trust me!) they retail from their website for around $160 but you can get them from ebay / surplus stores for around £25. I've shot a spare lens from 2cm away with a .25g @ 310fps and it didn't even leave a mark! There's plenty of cheap properly rated eyepro out there - Revision, Bolle and ESS all make stuff at the sub-£25 price-point. Advancer V12s are a good example of what value you can get at £25, and include 3 sets of lenses and an anti-fog cloth; certainly the best value I've ever found. The V12s were also issued. My own research came to the same conclusion. Just nice to see a second opinion before dropping all the money. What's a good optic for my RIS rail, budget of ~£50, medium-longish range for my M4? Ah, your Rail Interface System Rail? Also, I think you have the wrong thread. This is more for 'is this any good?' type questions. Simple questions thread is better for asking more general stuff. I dunno. I'd try a UTG ITA red dot in that price range. Bright and rated for real-steel so won't break too quickly. It gets 'meh' reviews from actual gun owners from what I saw, but it is only £35. If you want something with magnification then the Visionking short dot is excellent, but it's about £70 so perhaps not in the budget unless you can stretch it a bit. Also needs scope rings or a mount. The vision king looks decent! 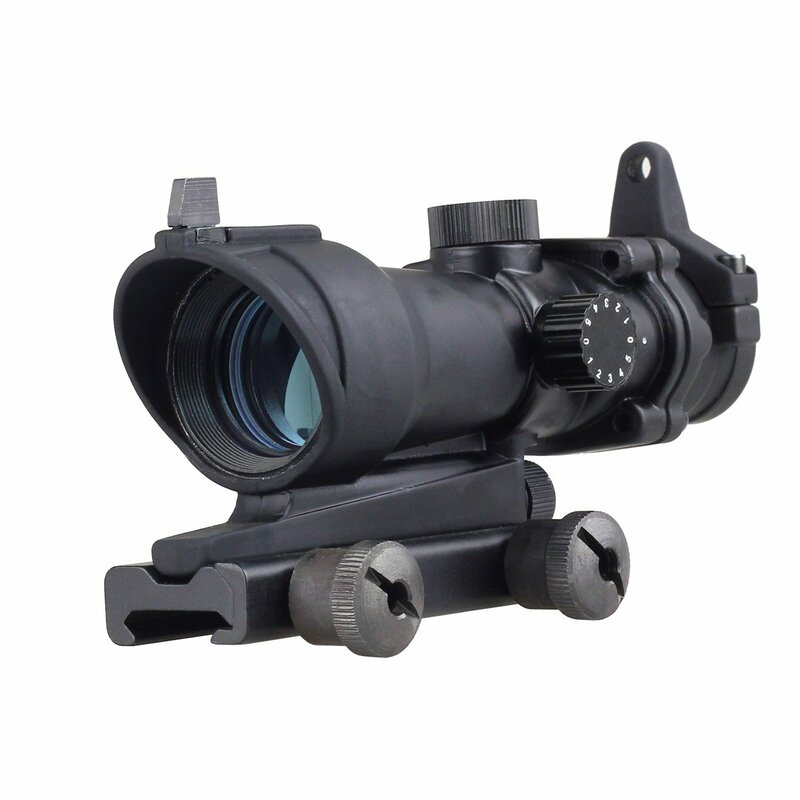 I would prefer at that price, a more ACOG style scope. It looks silly on an M4 to be honest. You won't find a clearer optic than that at £70, so you'll need to make a decision between clarity and how it looks. Think I'll get used to it. Has brilliant reviews. How do you deal with short distance aiming though? 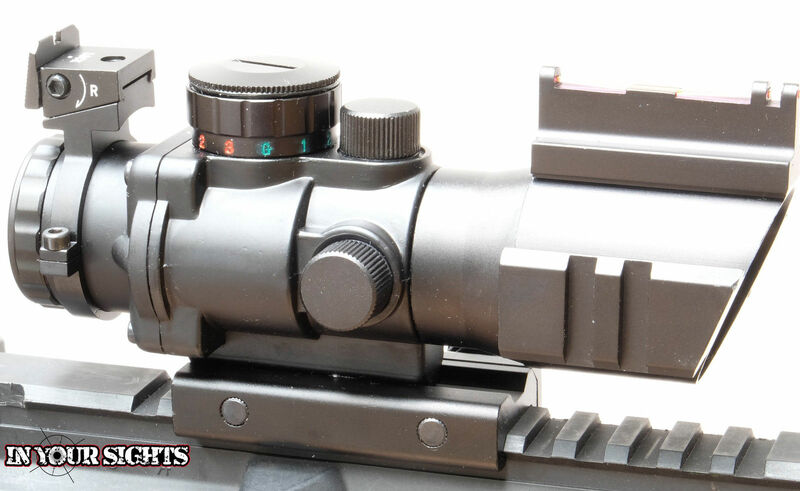 Will this scope mount be good? Looking for a cheapish but still half decent MP5 and like the look of this but have no experience with these, any opinions?